Mary Thomas shows off a computer monitor that displays the results of daily readings of vital signs taken by patients in their homes via a monitoring system, which transmits the data to a nurse. It’s been called “the stethoscope of the future,” but the future is already here when it comes to telemedicine. This technology, which essentially refers to any kind of remote monitoring of patients, is used in a range of settings, from home health care agencies and visiting-nurse associations that track the vital signs of patients with chronic diseases to hospitals that use telemedicine in their emergency rooms to diagnose stroke victims. Proponents say the technology is helping people live longer, and more independently, while reducing the overall cost of health care. Last summer Edna Ogulewicz had triple bypass surgery. When the 83-year-old returned home from the hospital, she didn’t know how to monitor her own recovery. But thanks to the home-based telemonitoring system used by Mercy Home Care, a member of the Sisters of Providence Health System in Springfield, a nurse was able to see the octogenarian’s weight, blood pressure, and oxygen saturation every day via a computer screen without having to visit her home. Ogulewicz was given a special blood-pressure cuff, a clip to attach to her finger to measure her oxygen, an oversized scale, and a small base unit which was plugged into the wall and into her home phone line. Every morning between 6:30 and 7 a.m., she took her blood pressure, weighed herself, and used the oxygen monitor. That information was immediately transmitted to a central monitoring station and then to a secure Web site where a Mercy telehealth nurse could see the readings and determine whether there were any signs of trouble. One day, when the scale showed she had gained a few pounds, the nurse called her and, after discussing what she had eaten the previous day, determined it was the result of consuming too much sodium. “It’s nice to have someone watching you,” Ogulewicz said, adding she found the system so beneficial that she told her doctor it would be great for all of his patients. Ogulewicz is one of many people in the U.S. who are becoming more confident about caring for themselves and their chronic conditions as a result of telemedicine. The technology is used locally in several settings. Many home health care agencies and visiting-nurse associations have deployed home telemonitoring systems to track the vital signs of their patients who have chronic diseases. In addition, physicians at Baystate Franklin Medical Center and Baystate Mary Lane Hospital are using telemedicine in their emergency rooms with stroke victims. 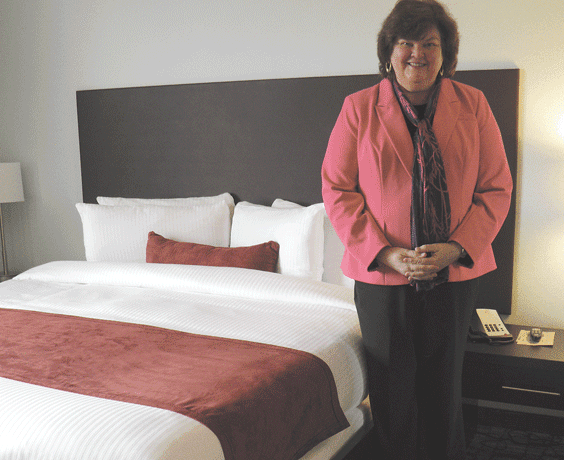 “Telehealth is the stethoscope of the future that enables people to get information in a quick and efficient way,” said Mary Thomas, director of Homecare Operations for Baystate Health System’s Visiting Nurse Assoc. In November 2009, the Journal of the American College of Cardiology published the results of the largest analysis ever conducted to measure the effectiveness of telehealth monitoring in patients with heart failure. They found that using the monitoring systems reduced mortality rates by 28% on average and reduced the rate of rehospitalizations for heart failure by 26% on average. That figure is significant, since people with congestive heart failure typically undergo multiple hospitalizations. And this year, the government launched a new initiative focused on congestive heart failure through home telemonitoring to keep people with the disease out of the hospital. “Congestive heart failure is one of the biggest reasons for hospitalization and rehospitalization in patients over 65, which adds to the cost of health care,” said Sheryle Marceau, manager of clinical practice for Mercy Home Health. “Patients often don’t understand why they ended up in the hospital or what they need to do to to prevent rehospitalization,” said Thomas. But they learn quickly with telemonitoring, as a nurse visits their home several times a week to talk about what their daily readings mean. In addition, they are called by the telehealth nurse whenever their readings fall outside of the parameters their doctor has determined is acceptable for them. “One of the great things is the feedback the patient gets immediately. It’s a real cause-and-effect type of learning and helps them stay out of the hospital. Plus, most patients love it because it gives them a sense of security knowing that someone is keeping an eye on them,” Marceau said. Sue Pickett agrees that the system works to prevent problems and educate patients. “We are trying to catch things before there is a full flareup, and telemonitoring can give us a sign that something may be wrong,” said the registered nurse and executive director of Mercy Home Health Care. 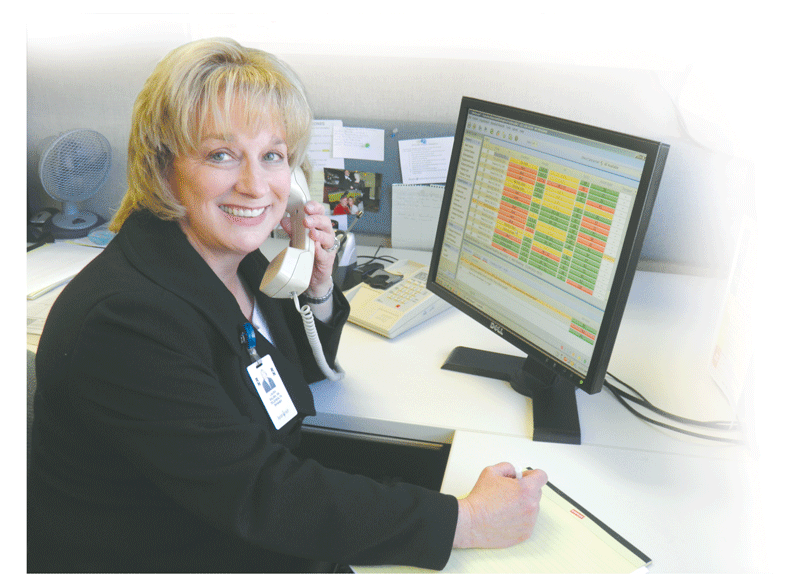 Most patients assigned to Mercy’s system use it for an average of 60 days. If there is a problem, the nurse calls and asks the person how they are feeling. In some instances, the patient is asked to take their blood pressure or other vital signs again, and at that point the nurse determines whether the situation warrants a home visit, a call to their doctor, or, in extreme cases, a trip to the emergency room. Telemedicine also benefits physicians, as they can access two months of daily monitoring results, Pickett said. Many patients have more than one diagnosis, which can be overwhelming for them to understand. But monitoring makes a difference. “If this can help them learn how to manage their conditions, it empowers them to have better control over their lives, which means a better quality of life with more time spent at home and less in the hospital,” Pickett said. She added that elderly patients using the system are asking more questions, and the knowledge they gain allows them to become more proactive about their own health. It also has a ripple effect by reducing the cost of health care. “We know how to get people to live longer, but this results in chronic disease that needs to be managed better in order to not use up our health care resources,” Pickett said. Right now, Baystate is using its system strictly for people with cardiac conditions while Mercy uses its telemonitoring units for patients with congestive heart failure, as well as emphysema or chronic obstructive pulmonary disease. Mercy also has a patient using the equipment to monitor her blood pressure. “If it goes up, the doctor can adjust her medicine right away,” said Marceau. Additional equipment can be added to monitor low blood sugar or temperature, and even to allow people to do an EKG at home. Baystate Franklin Medical Center and Baystate Mary Lane Hospital are primary stroke centers. In order to earn that designation, a hospital must have a neurologist on staff around the clock. These community hospitals accomplish that through the use of telehealth technology at Baystate Medical Center. If a person comes into the emergency room at one of the two community hospitals exhibiting stroke symptoms (which can include a sudden change in vision, garbled or slurred speech, numbness of the face, weak arms or legs, weakness on one side of the body, trouble walking, or dizziness or a headache that comes on without cause), and if the emergency-room physician thinks the person is having a stroke, they will be given a CT scan, and a neurologist can come on the scene if there is not one in house — remotely, through the use of telehealth technology. This allows people who live far from major medical centers to access the options offered at one. Thomas concurred. “Technology of the future will enable people to get information in a quick and efficient way,” she said — no matter how far away they are.